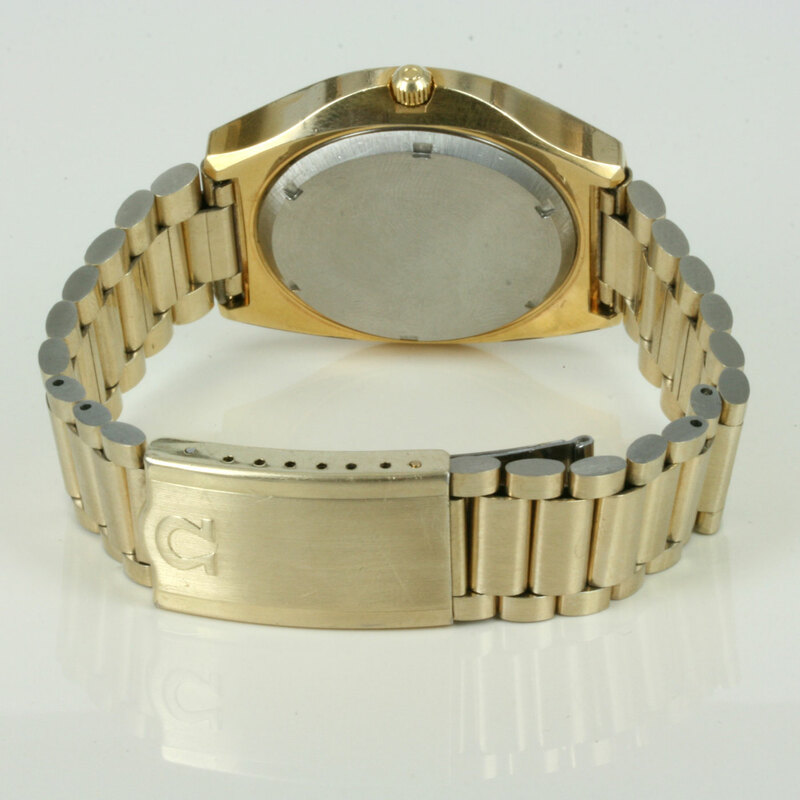 Product code: 1035 Categories: Sold Items, Sold Omega Watches. Here is a great vintage Omega with great technology no longer around today. A 1972 Omega with the tuning fork movement. Don’t be put off by the battery in this one – the tuning fork was a massive leap forward by the Swiss watchmakers in this era, and this is a watch that runs on a tuning fork and allows excellent accuracy and the centre second to “sweep” around as opposed to the “ticking” that you see in quartz watches today. So accurate, this is a Chronometer rated movement, and is the Omega calibre 1250 with 12 jewels. The gold capped case and band are both in exceptional condition, and the case measures a hefty 39mm across x 43mm high. A great vintage Omega for any collector out there. Maker and model: Omega F300 Chronometer.